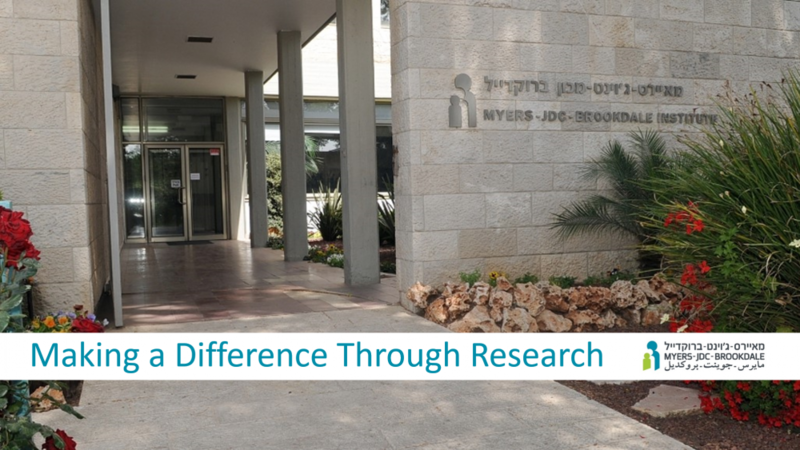 The Myers-JDC-Brookdale Institute is Israel’s leading center for applied social research. We strengthen Israeli society by using meticulous study, rigorous research and our extensive knowledge to help improve decisions that impact people’s wellbeing. The Institute identifies and examines key social challenges. We use our research to help inform policy, advise programming, and improve services for individuals, families, and communities. We work to strengthen Israeli society and the wellbeing of all its members.